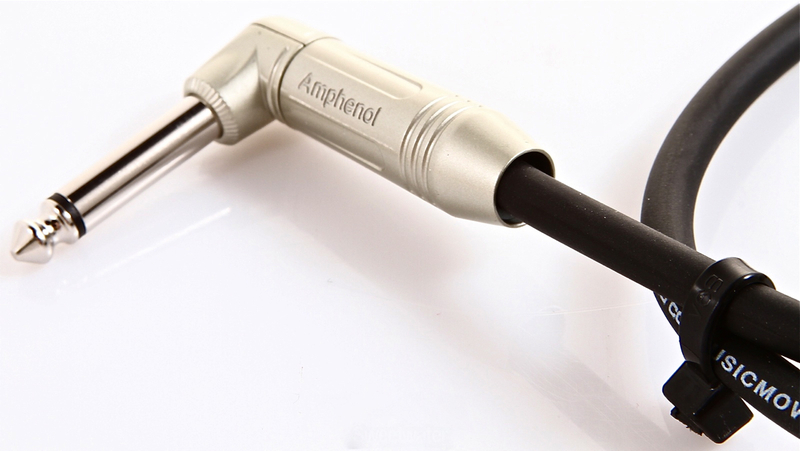 How do you assess the condition of an instrument? 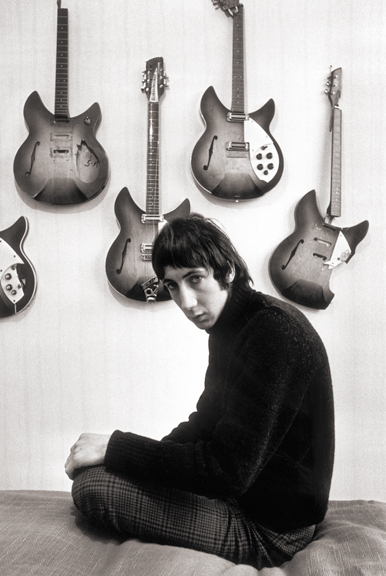 Would you buy a guitar from Pete? • Tune the instrument and play it for a minute or two. You’ll get an idea of the current set-up, as well as of the general condition and sound of the instrument. • Is the neck correctly aligned to the body (especially important in set-neck instruments)? 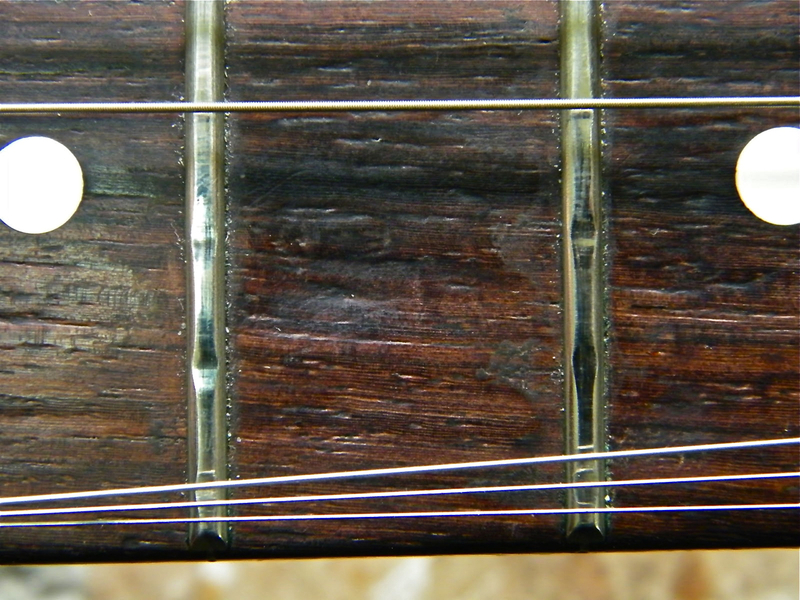 Look at the distance of the e-strings to the fingerboard edges at the 14th fret. 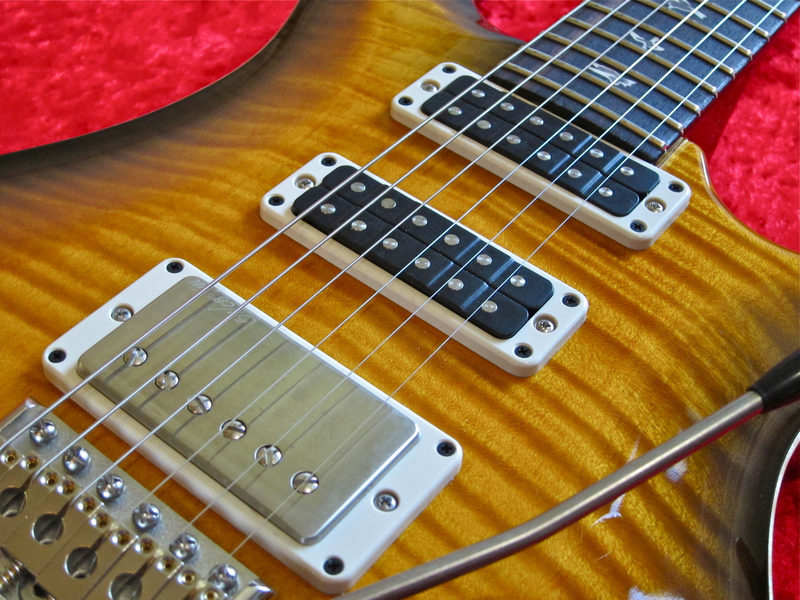 If both e-strings are approximately the same distance from the edge of the fingerboard, you’re good to go. Press the bottom E-string down simultaneously at the 1st and 14th frets (you can use a capo at the first fret), and use it as a straightedge. Take a look at the string at the 8th fret; there should be a small gap between the top of this fret and the E-string – that’s what we call the relief. If the gap is around 0.5 mm, the truss rod is set as it should be. Check the treble e-string in the same way. If there’s a substantial difference between the relief at the low E and the treble e, you’re most likely looking at a warped neck. 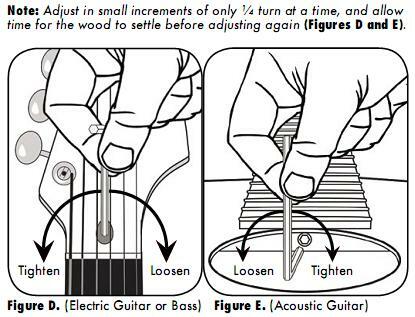 If the truss rod setting is not ideal (too tight = no relief; too loose = relief greater than 0.5 mm) you should ask the seller to adjust the truss rod for you. Each string is pressed down in turn at the 3rd fret. The string should now be resting on the second fret. 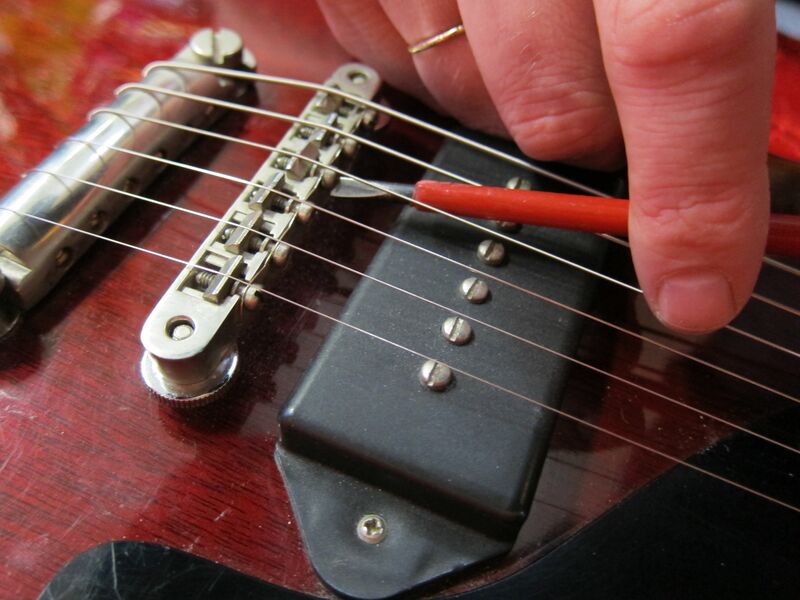 Look for a small gap between the 1st fret and the string you’re pressing down. Using a regular 009- or 010-gauge set, there should be a tiny gap beneath the treble e-string and the first fret (when fretting the string at the third fret), just about large enough to fit a sheet of printer paper in there. 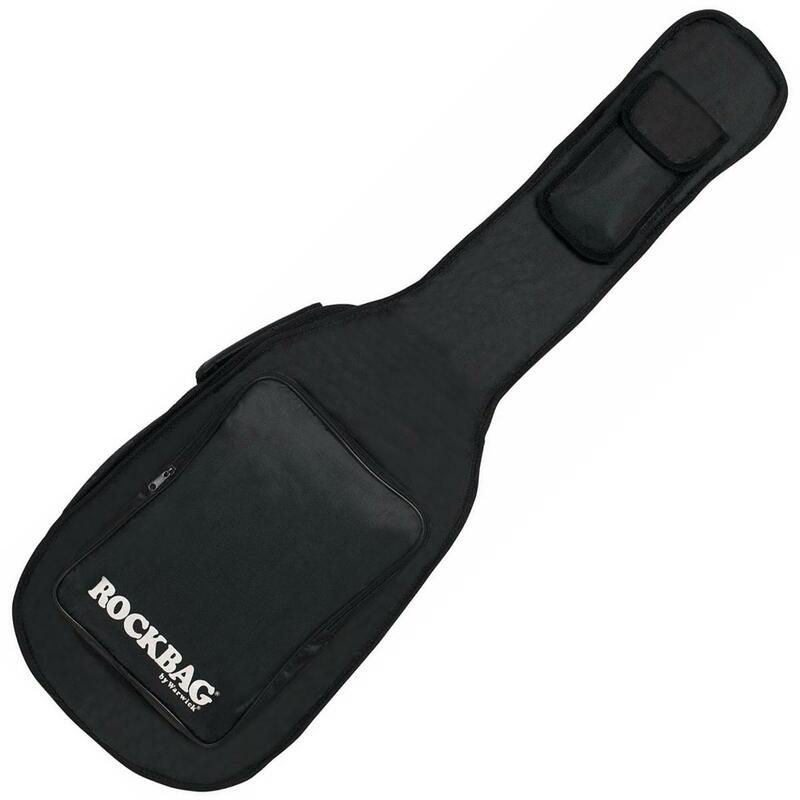 Because the bass strings need more clearance to vibrate freely, the gap between the first fret and the bottom of each string increases slightly going from the top e-string to the bass E-string. 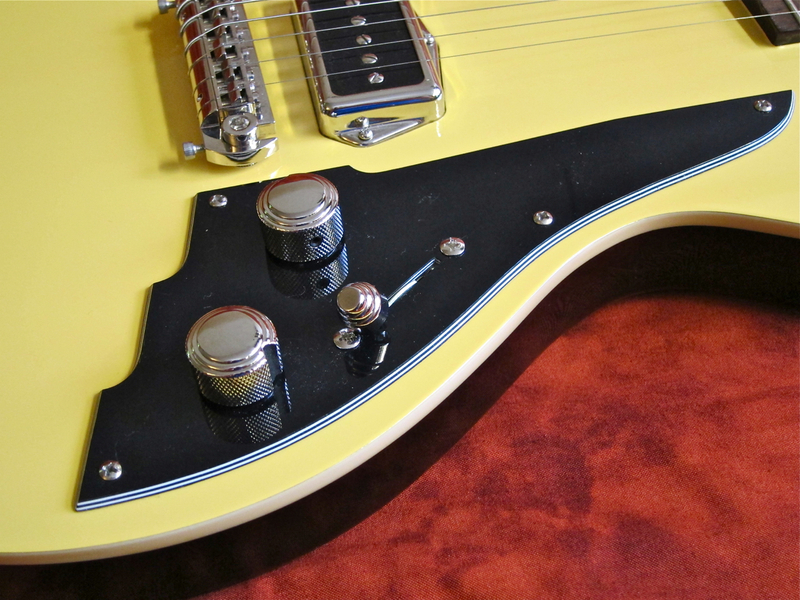 If the nut slots aren’t cut deep enough, the guitar will be hard to play, and sound badly out of tune in the lowest (open) positions, regardless of action settings and intonation. 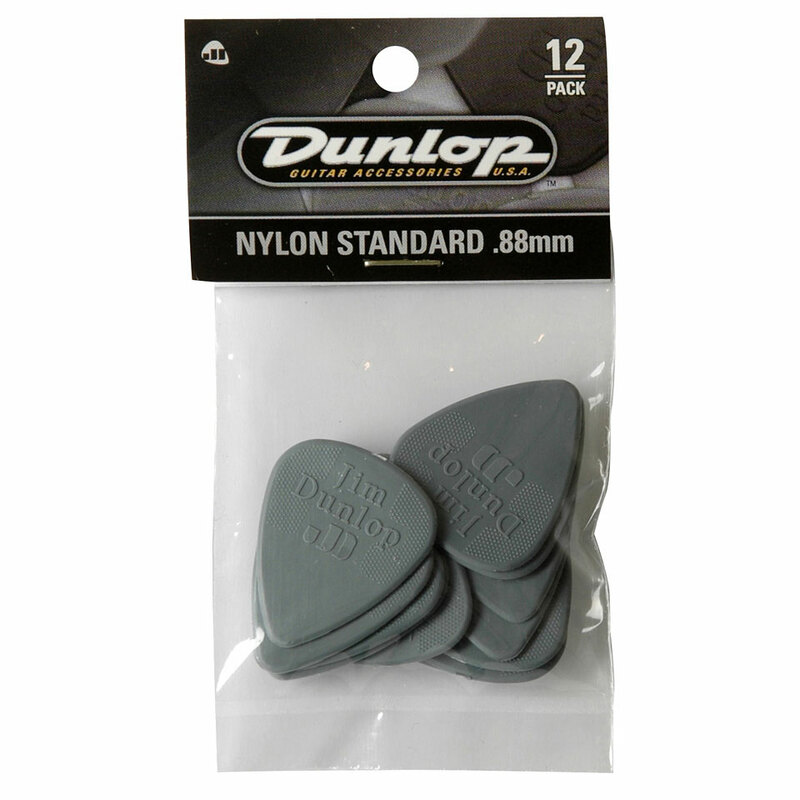 A luthier will be able to correct the matter for a small charge using a set of special nut files. 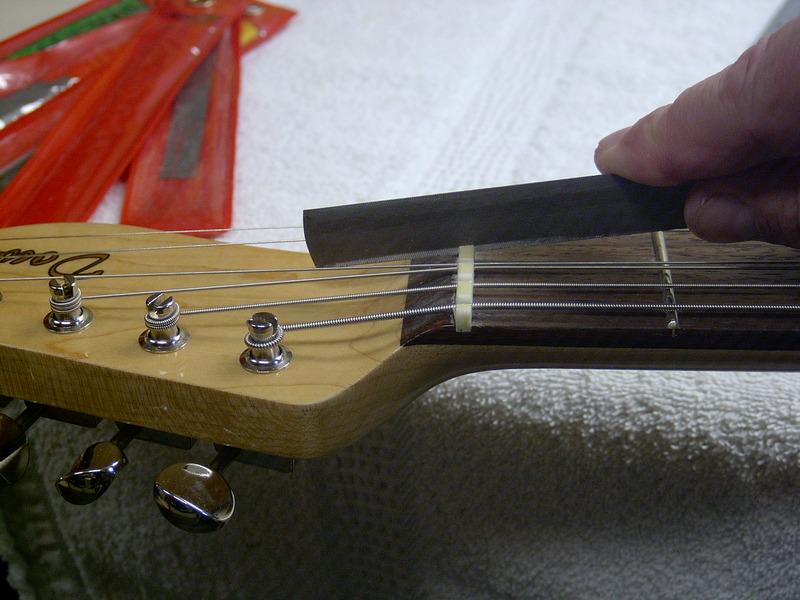 If the string slots are too deep (= the strings rest on the first fret, when pressed down at the third), a nut replacement will be in order (except with locking nuts that can be shimmed). 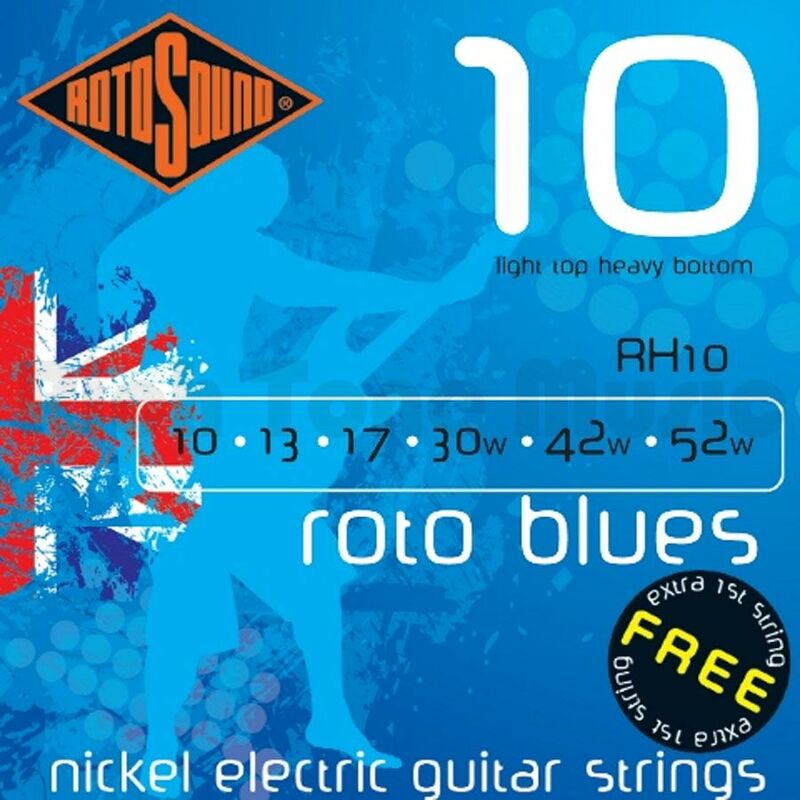 Nut slots that are too deep will result in rattling open strings, even if the action and the truss rod have been adjusted correctly. 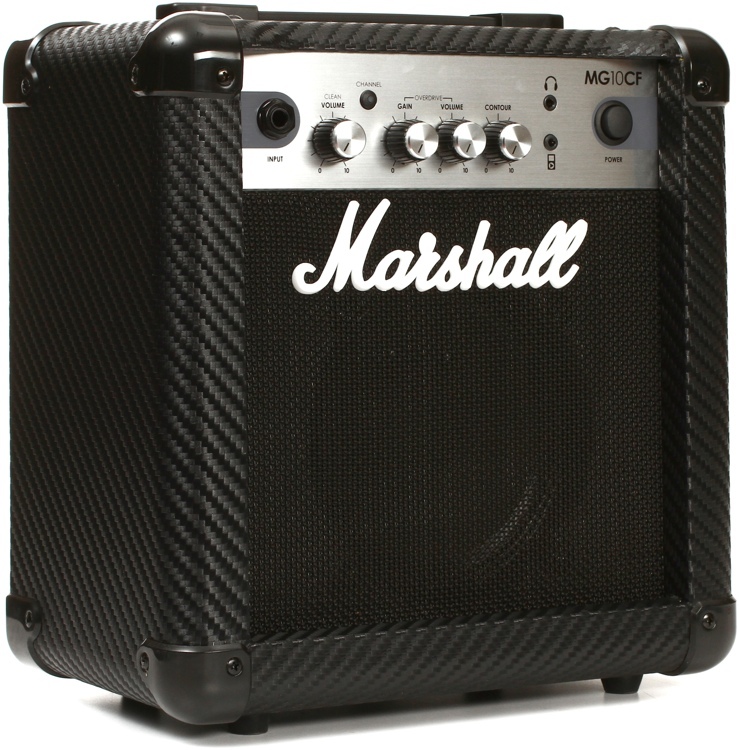 Note: You should check for string rattling using clean amp settings. Playing the guitar unamplified might make you whack the strings harder than necessary. In most cases replacing a nut is an easy procedure for a repairperson. On a used guitar, slight wear marks on the frets are the result of normal use, and this light wear won’t cause any problems. If the frets are very worn (like the ones in the picture below), you should take the cost of a fret dress (or even a complete refret) into consideration, and maybe try to get the seller to lower his/her asking price. Refretting bound fingerboards is more complicated and time-consuming than dealing with unbound ’boards, which is usually reflected in the cost. Ask you luthier. Are all the screws and bridge saddles in working order? 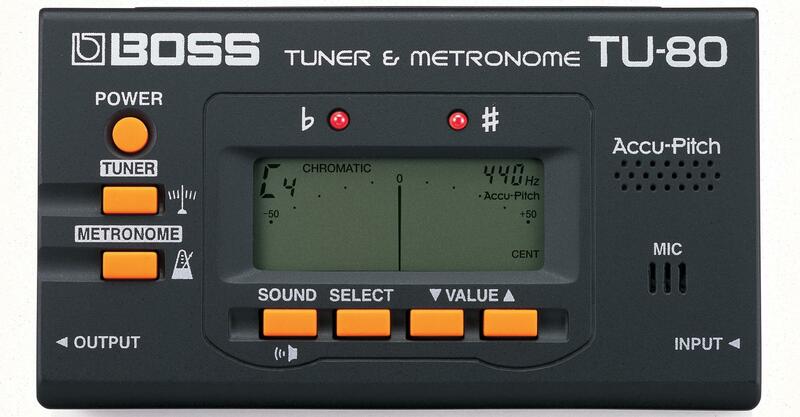 Is there ample scope for intonation adjustment? If the guitar’s set-up is unsatisfactory – the action may be too high or too low; the intonation may be off – ask the seller to adjust the guitar for you before making a buying decision! 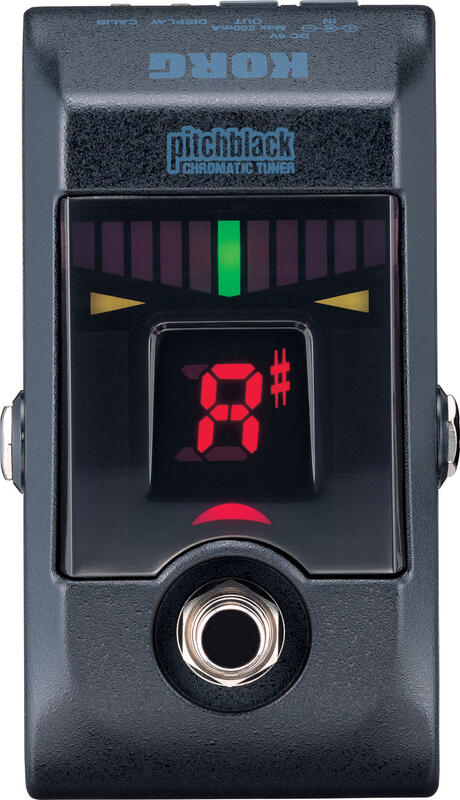 Play around with all controls and switches – is everything working as it should? 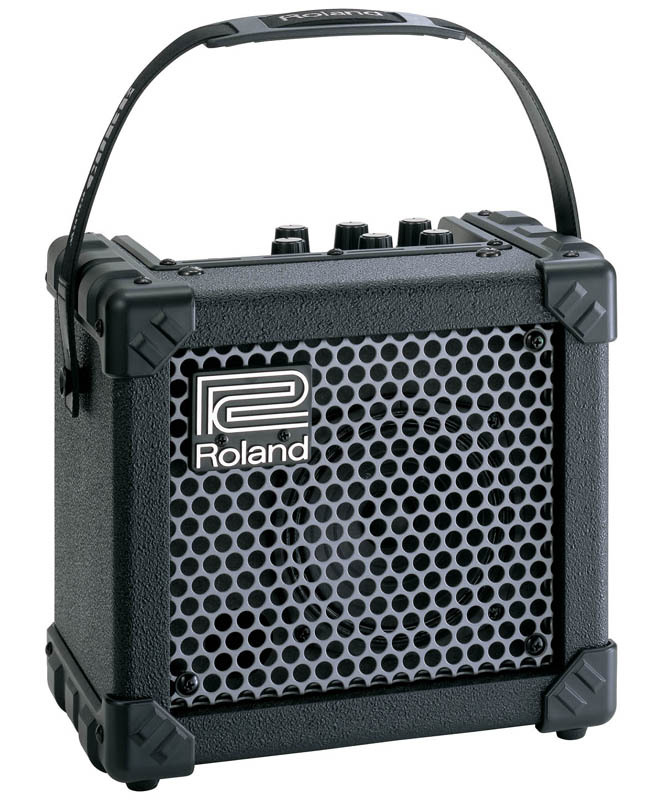 Do all the pickups work? 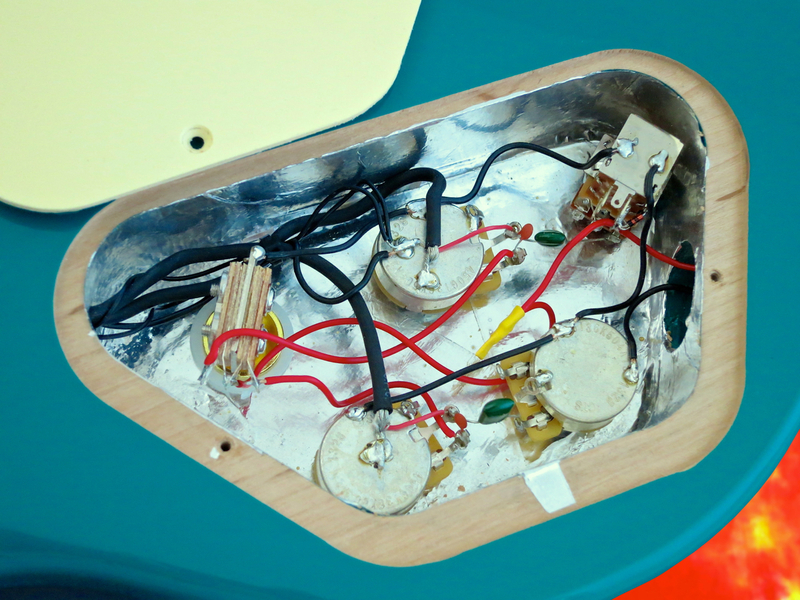 Scratchy, crackling pots and faulty switches are quite easy for a luthier to exchange. 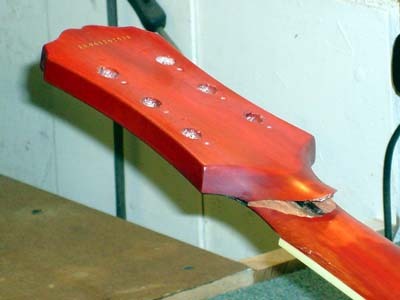 If we’re talking about a new guitar, the shop should take care of this before you buy. 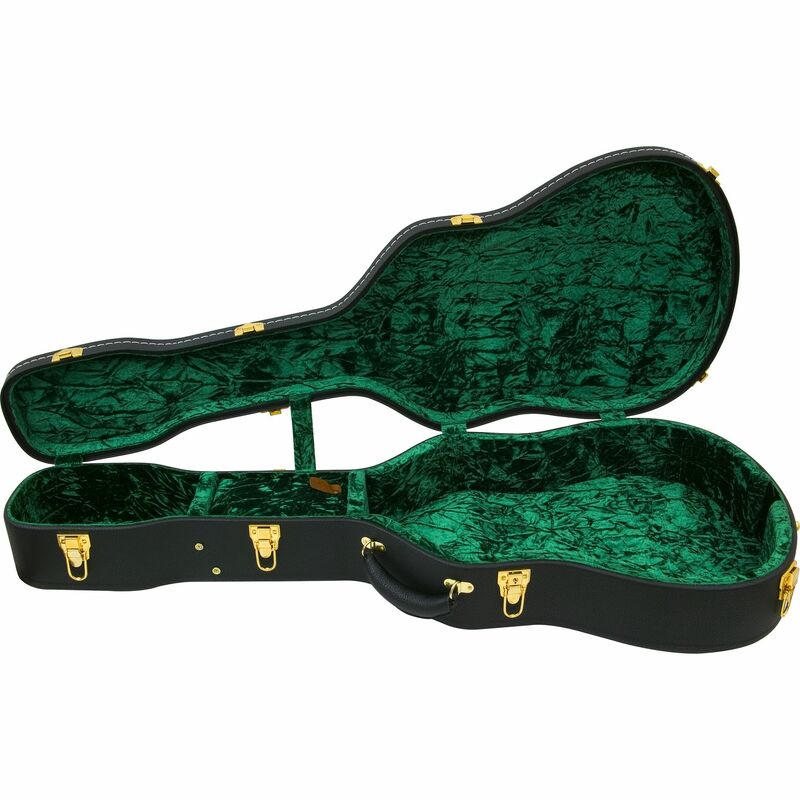 With a pre-owned instrument, you will have to take care of the repairs. 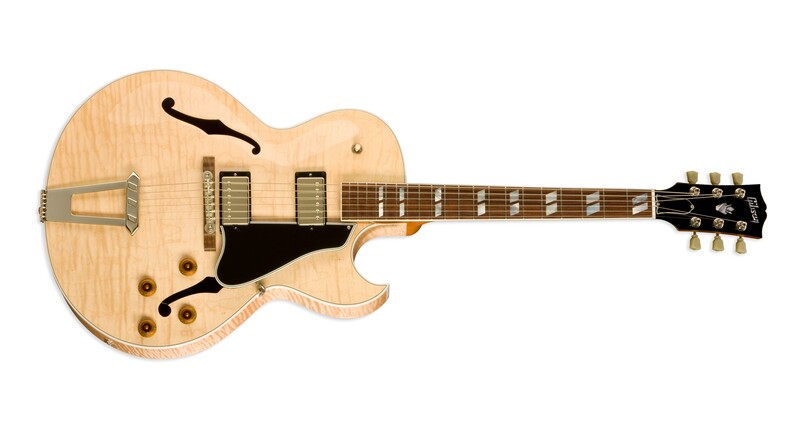 Note: Replacing electrical components and pickups in semi-acoustic and archtop guitars is generally much more complicated, which will be reflected in the luthier’s quote. 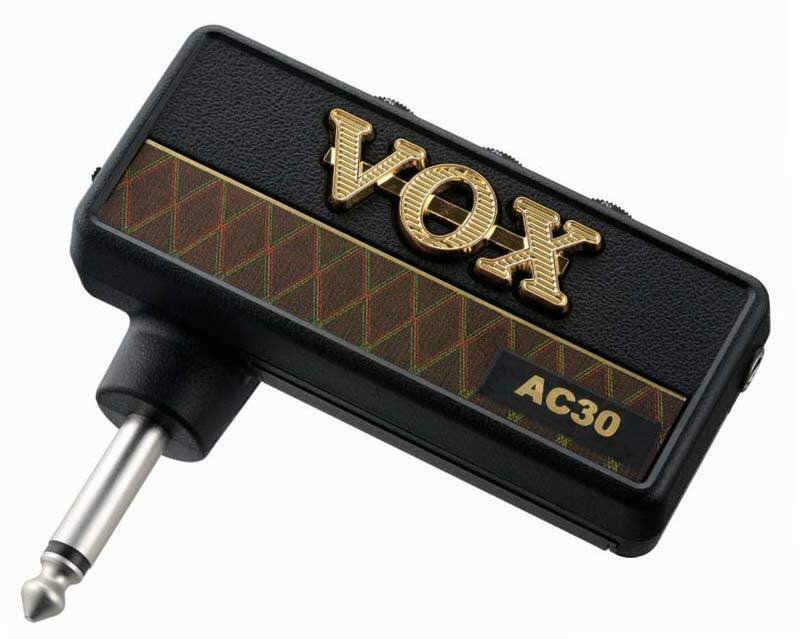 Does the vibrato (aka the tremolo or the whammy bar) work as it should? Are all the parts in working condition, or are you faced with rusty screws or even broken parts? 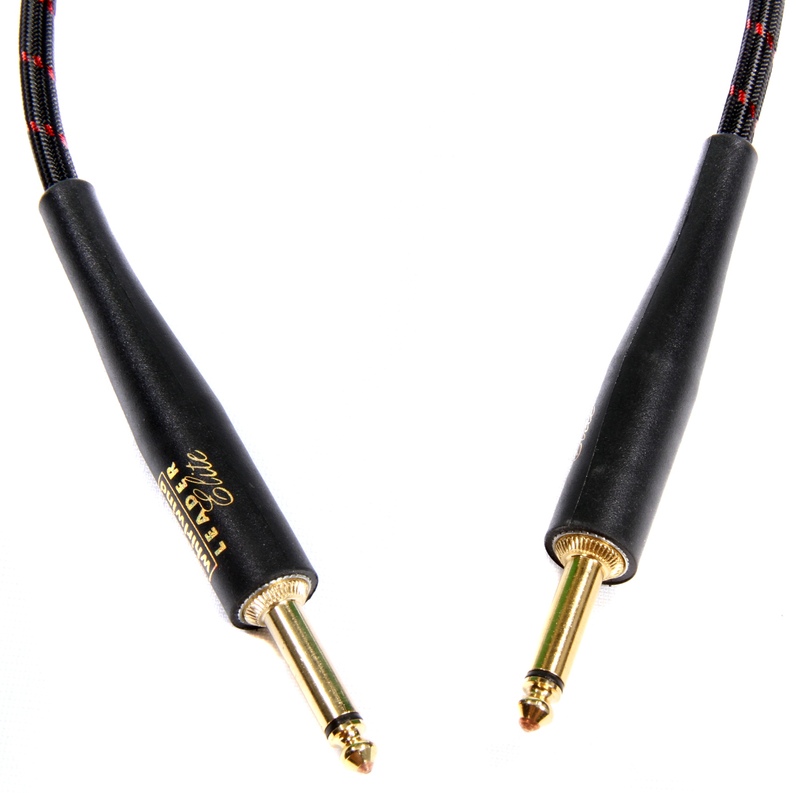 Is there ample scope for action and intonation adjustment? 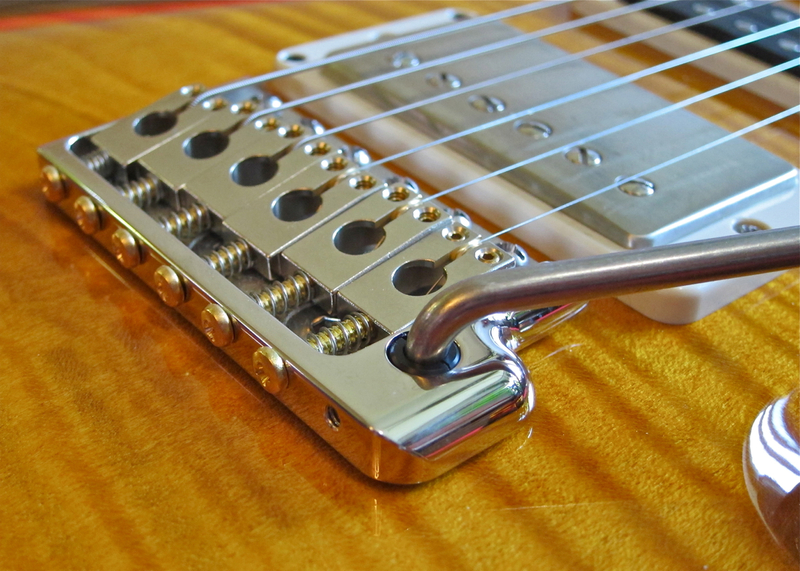 If the vibrato bridge looks very worn, or if there are structural problems, like a broken off (or loose) bridge post, you might be facing a complete replacement or a costly repair. 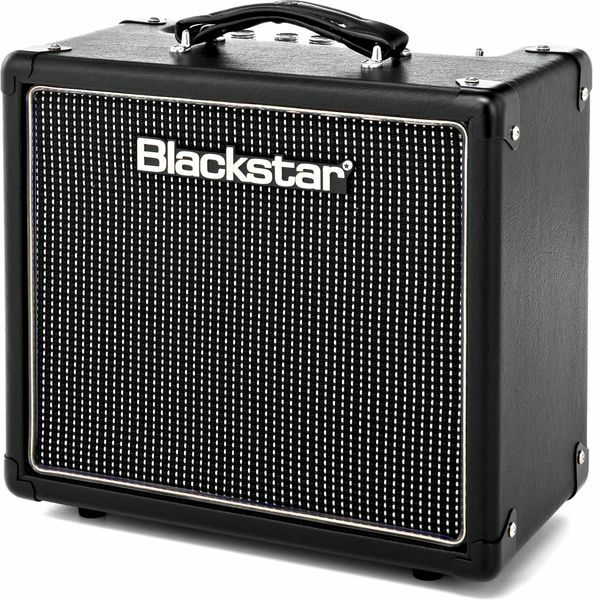 • And finally: Plug the guitar into an amp, and play it some more. Listen to the sound of the instrument. 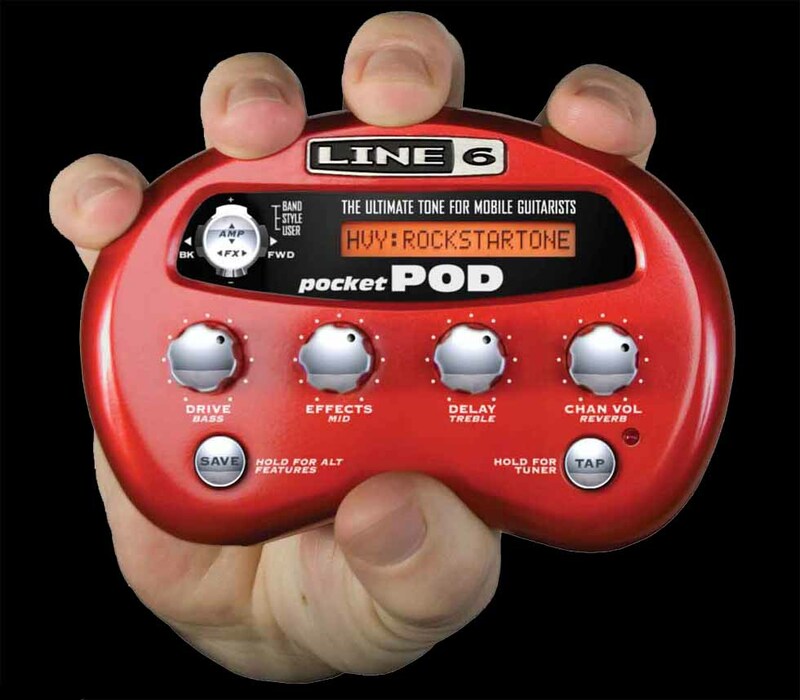 Check its playing feel, its ergonomics, and make a final assessment of its overall condition. Do I like this instrument? 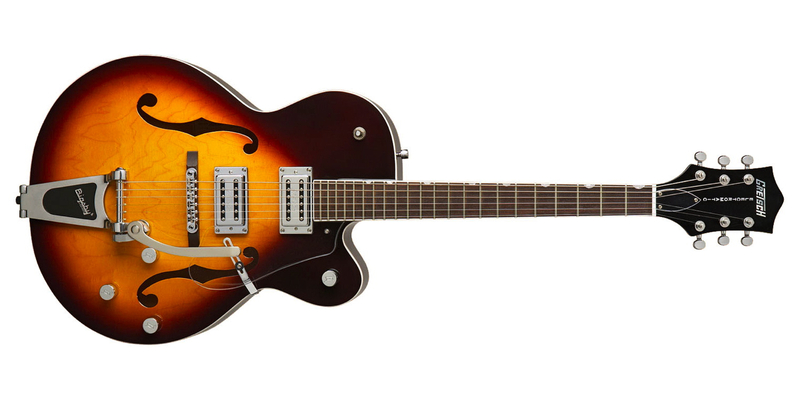 Do I think this guitar is worth its asking price? 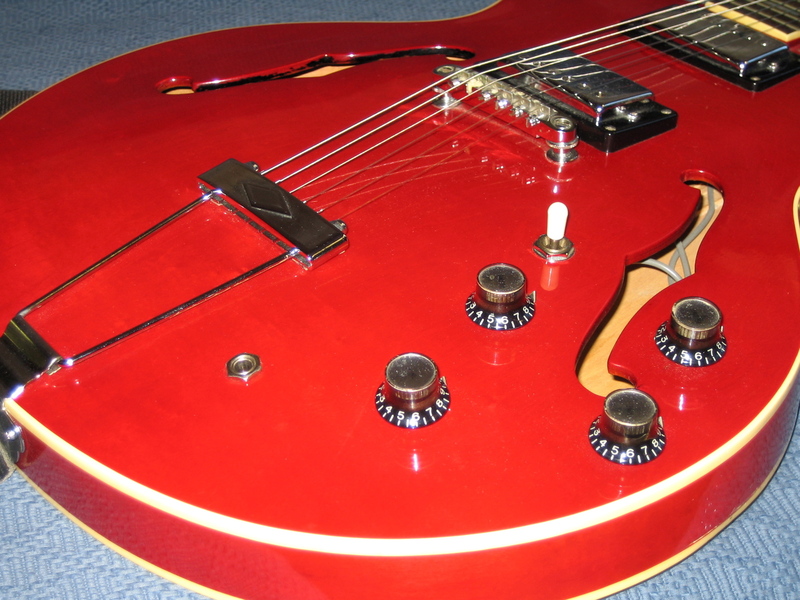 Buying an electric guitar, part 2 – New or used? 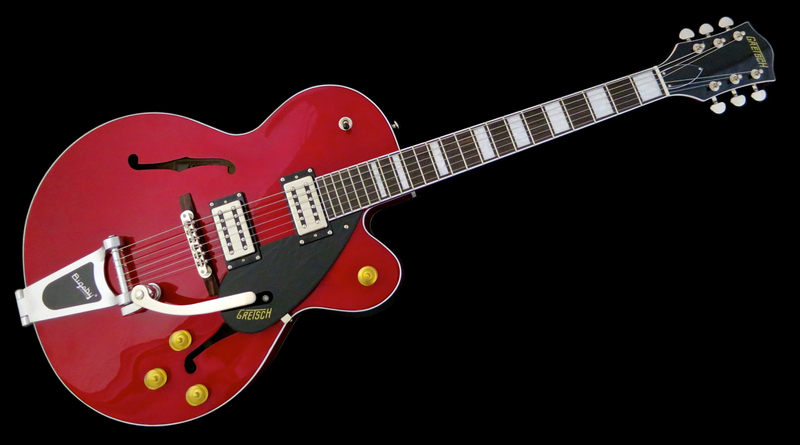 What are the advantages of buying a new guitar vis-à-vis a pre-owned instrument? 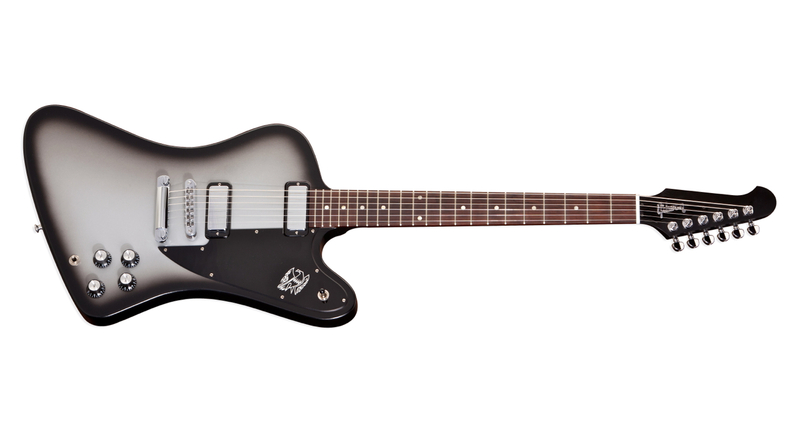 ++ Your new guitar will be just that – brand-new and untarnished (unless you go for a relic’ed axe). 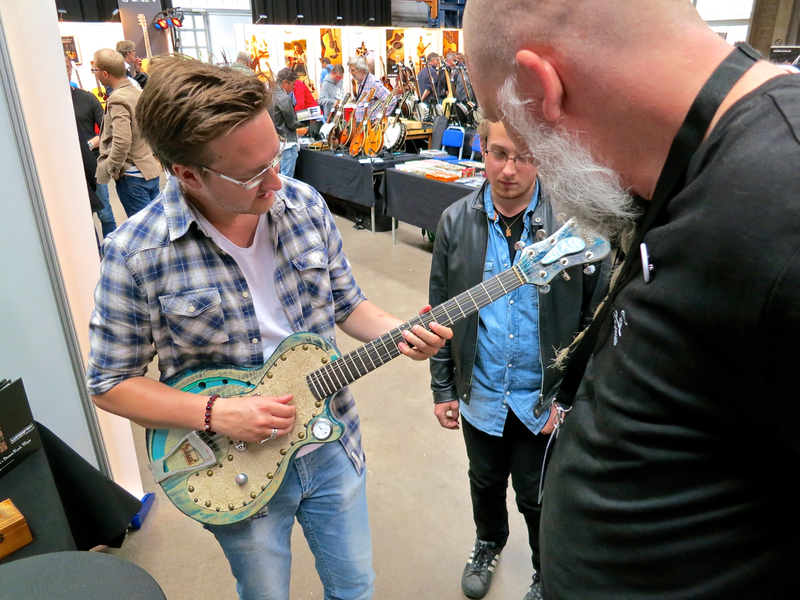 ++ The shop assistant can help you finding the right guitar for your playing style. 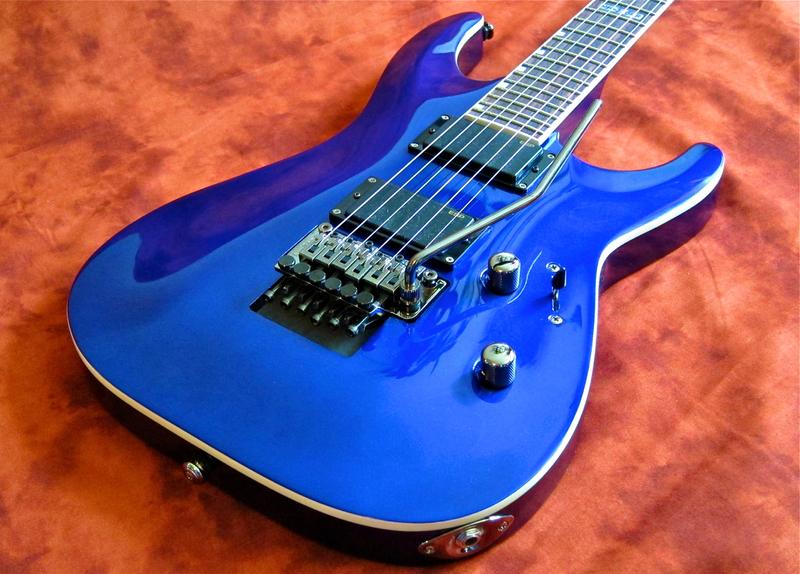 ++ Many shops also offer to set up your new guitar to your own specifications. ++ Should there be any problem due to faulty workmanship, you’re covered by a warranty. 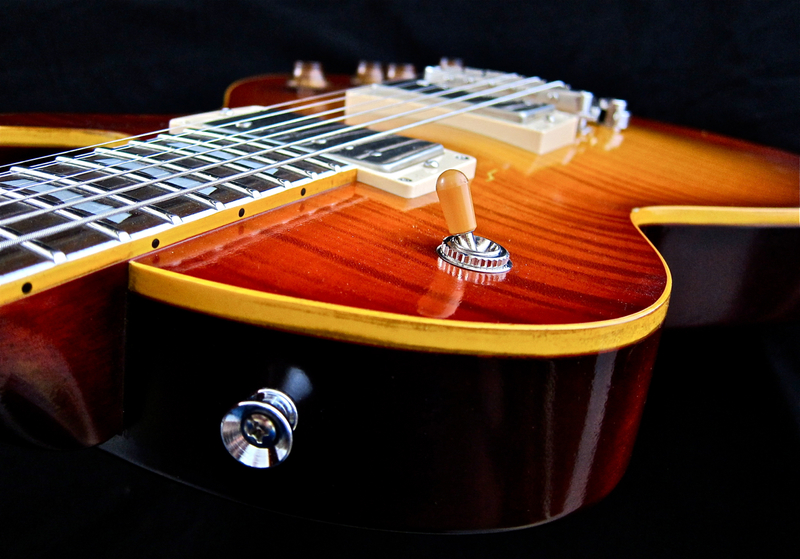 • Why can it make sense to buy a used guitar? 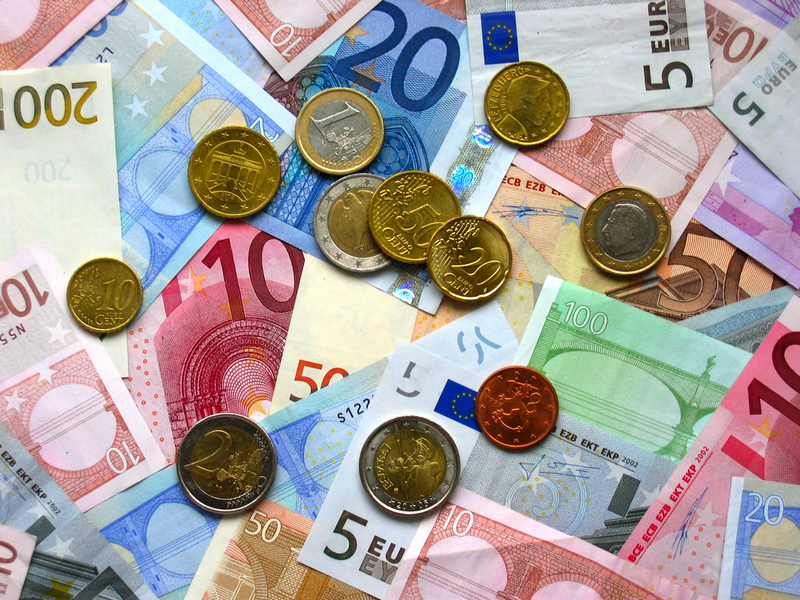 ++ In many cases, you will be able to afford a slightly more expensive instrument. 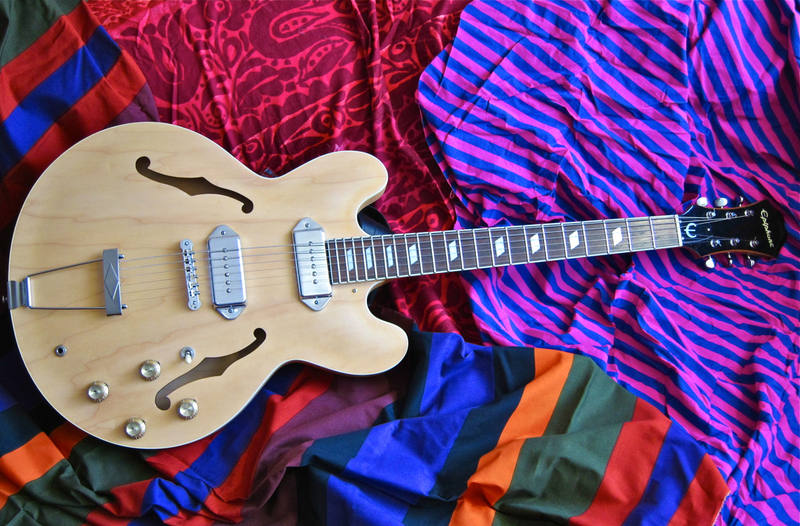 Depending on the age and condition of the guitar, a used guitar usually goes for about 60-80 % of its price when new. 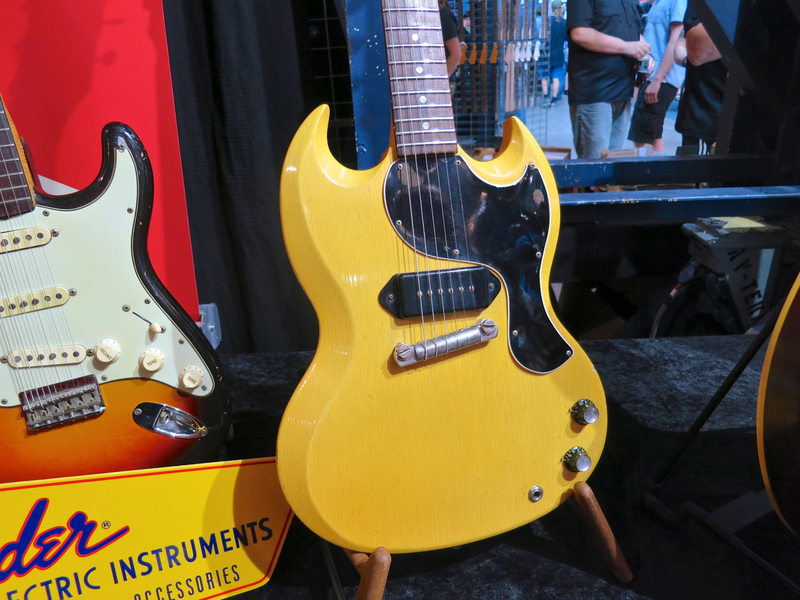 Please note: This kind of price reduction tends not to apply to collectable (vintage) guitars, as well as many special run and/or custom shop instruments from sought-after brands. The value of some of these instruments may even rise considerably with the passing of time. ++ A pre-owned guitar is also pre-aged, so the possibility of nasty surprises due to wood shrinkage/expansion is also considerably lower. If a three- or five-year old guitar’s neck is still straight and its fingerboard hasn’t shrunk, chances are that things will remain stable in the future, too. 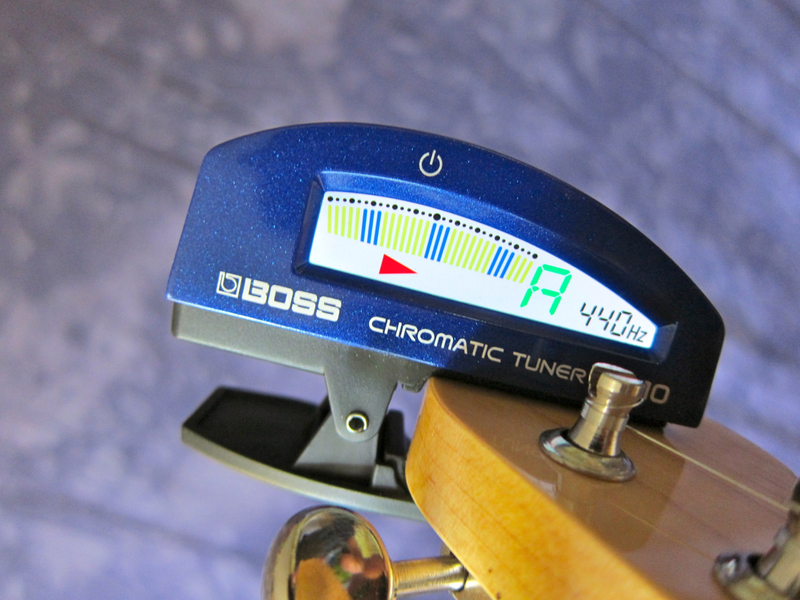 Shopping for a used instrument does require some experience from the buyer, though, because he/she will have to be able to correctly gauge the condition and market value of the instrument on offer. 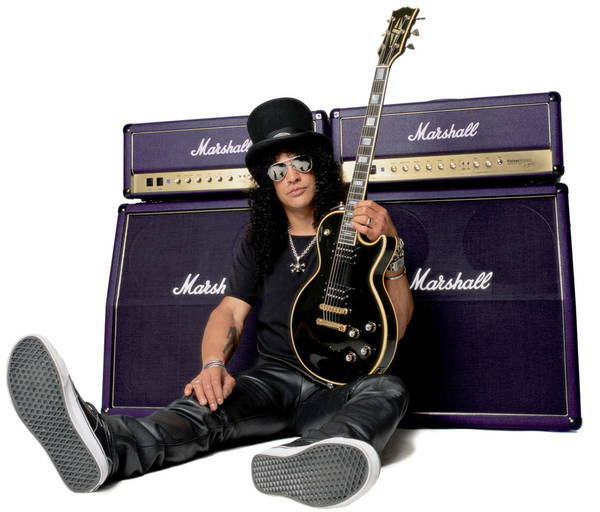 If you feel unsure take a more experienced guitarist along with you. 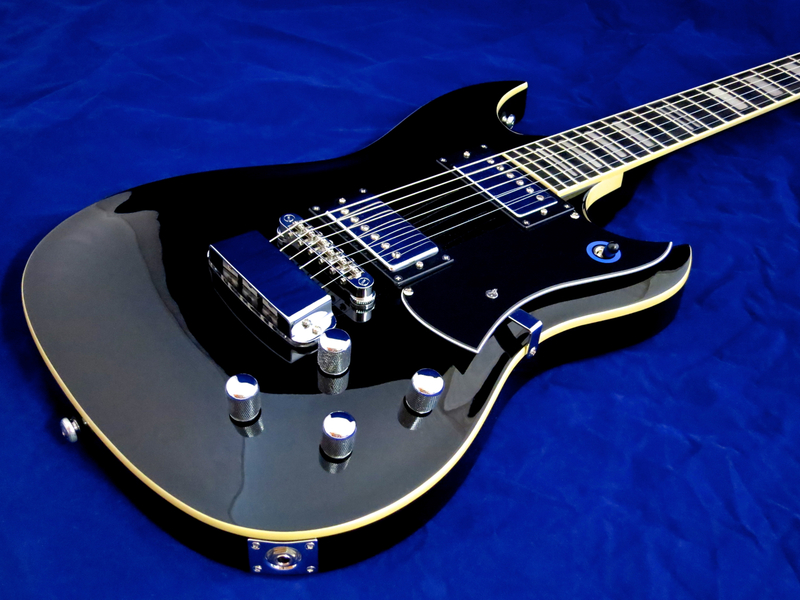 • If you want to buy a used guitar via the internet, you should make sure to apply the same amount of care, as with other shopping on the net. Don’t hand over any credit card details to a private seller, and direct payment in advance is also generally a no-no. The safest way to do business is by using well-known platforms, such as Ebay or Reverb.com, which provide for relatively secure payment options, such as Pay Pal.